Welcome back to the Artworks shop! It is our thirteenth exhibition and I think this is one of our best shows ever. The main barn looks very striking with the three dimensional work displayed on tall plinths which flow back the length of the barn – including Carol Pask’s bold ceramic works, Lizzie Saunder’s intriguing geometric shapes, Genista Dunham’s large and exciting papier mache bowls, the beautiful glass work of Virginia Wright, not forgetting Jenny Goater’s successful wire sculptures (also a founder member of Artworks). There is, of course, all the wonderful paintings on the walls, in every 2D media, from traditional oils to mixed media collage and acrylics. Our Private View evening was great, with lots of familiar faces but also a number of new people visiting, a real buzz, and many sales of artwork, large and small. Meanwhile, it was back to Blackthorpe barn very early the next morning to meet the Shop Team and set up the Artworks shop & cafe. 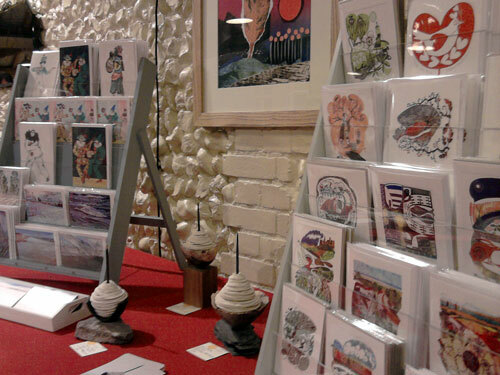 Having finished getting the shop ready with the walls, tables and browsers filled up with artists work, I always feel I should have a little treat to celebrate – something lovely from the main exhibition or the Artworks shop, even if it’s just a few artists cards. 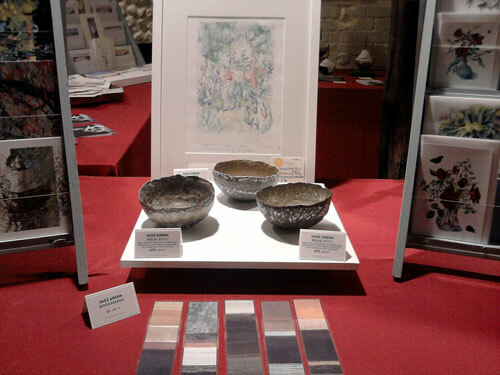 Last year it was a papier mache bowl by Jazz Green, tender and golden, and a wonderful print by Ben Quail. This year it was another papier mache bowl (I have a collection) by Genista Dunham – it is so merry and colourful. The shop is now beautifully set up and running alongside the main Artworks exhibition, and as always, there is a wonderful range of artworks and cards to browse and buy. I love looking round my home and seeing various artworks I have bought and remembering their makers and all the wonderful artists I’ve worked alongside these last thirteen years with Artworks. 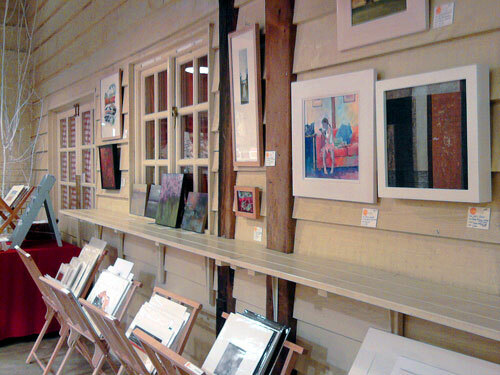 The Artworks exhibition (and the Artworks shop) is open daily, 10am to 5pm. 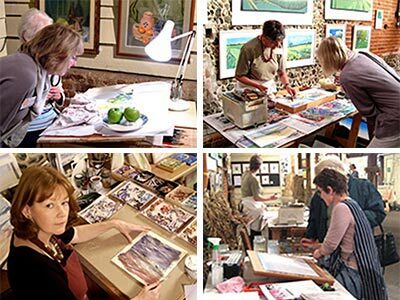 The Artworks shop sells original prints, small works on paper, 3D artworks and an extensive range of artist cards. We also serve light refreshments in the Artworks cafe. We look forward to welcoming you to Artworks shop! This entry was posted in artworks news and tagged artworks shop, blackthorpe barn, carol pask, genista dunham, gillian crossley-holland, jazz green, liz waugh mcmanus, original prints, penny bhadresa, suffolk, valerie armstrong on September 23, 2012 by admin. The Janette Place Mini Artworks Prize Draw is a colourful display of thirty 6”x 6” original works of art created specially for the exhibition by Artworks artists. The Mini Artworks wall is a visual feast for the eyes, on display throughout the duration of the Artworks exhibition. 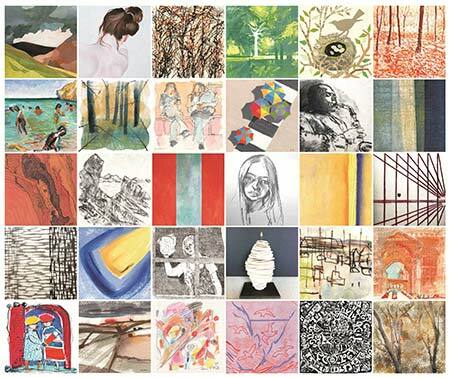 The Janette Place Mini Artworks Prize Draw is an established annual event at the Artworks exhibition and it provides funding for Artworks outreach work with schools, with a proportion of the draw proceeds going to charity. 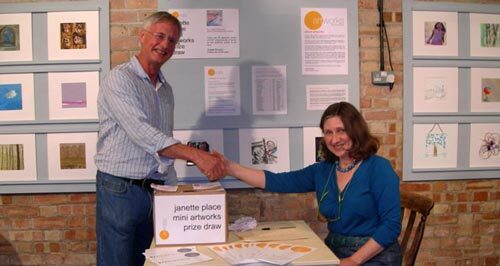 The Janette Place Mini Artworks Prize Draw is so-named in honour of the artist Janette Place, an enthusiastic member of Artworks, always full of good ideas, who initiated the first prize draw in 2004. Sadly, she died in 2005, so the Annual Mini Artworks Prize Draw is now a lasting tribute in recognition of her contribution to the success of Artworks. 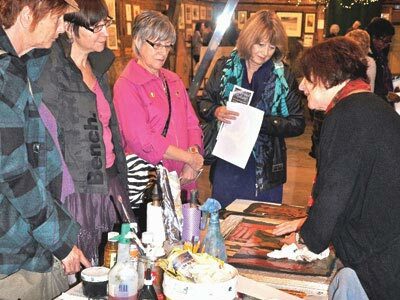 The Annual Artworks Prize Draw takes place on the last Saturday of the Artworks exhibition. This year it will be held on Saturday 1st October 2011 at 4pm. Every year Artworks chooses a different charity to benefit from our prize draw. In 2010, we supported the East Anglia’s Childrens’ Hospices’ Tree House Appeal. In 2011, we are supporting the Bradfield Green Oak Centre project of the Suffolk Wildlife Trust who are celebrating their 50th anniversary this year. They are designing and building an innovative new education centre at Bradfield Woods. The building is being constructed from green oak harvested from Suffolk Wildlife Trust’s‘ nature reserves as part of their conservation management. Work is well underway – see some progress photos on the Bradfield Green Oak Centre’s blog. Saturday 1st October 2011 at 4pm. Draw tickets are just £2 each, on sale throughout the duration of the Artworks exhibition – just enquire at the reception desk. Buy one ticket (or more to be sure!) to be in with a winning chance of securing an original work of art to take home and treasure! 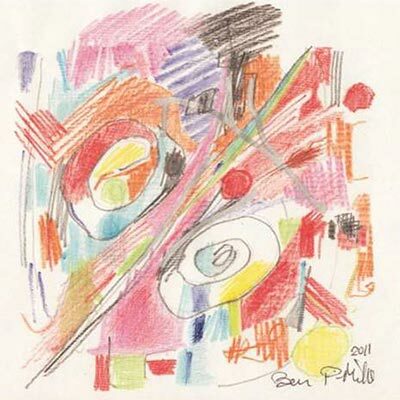 The Artworks 12th annual art exhibition runs from 10 September – 2 October 2011, open 10am – 5pm daily, at Blackthorpe Barn, Rougham, Bury St Edmunds, Suffolk IP30 9JG. Admission is FREE. 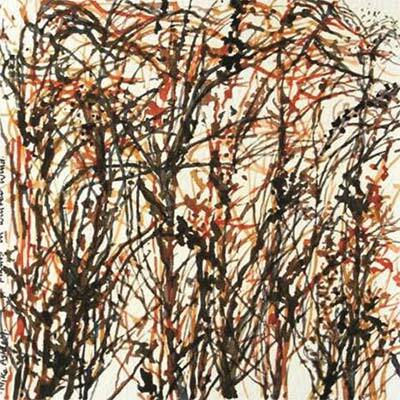 Read more about Artworks annual exhibition on the Artworks website. This entry was posted in artworks news and tagged artworks, ben platt mills, christine mckechnie, east anglia, exhibition, janette place, jazz green, mike ashley, penny bhadresa, prize draw, suffolk on August 6, 2011 by admin. A not-to-be-missed special evening of artists’ demonstrations, in association with the annual Artworks exhibition at Blackthorpe Barns. This special event is sponsored by The Curwen Press. New to Artworks in 2007, the Artists Making an Exhibition of Themselves evening (AMET for short) was a resounding success. on Saturday 1st October 2011, from 6pm to 9pm. AMET is a special, one-off event when some of our Artworks artists set-up mini working studios in front of their work in the Artworks exhibition at Blackthorpe Barn, to demonstrate the media, materials & techniques used in their art, ready to answer any questions that visitors to the exhibition may have about their art. 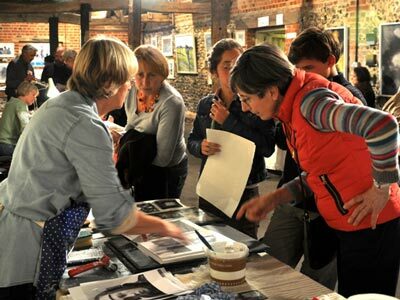 from 6pm-9pm, at Blackthorpe Barn – a special date for the Artworks diary! We also have artist demonstrations throughout the Artworks exhibition so please follow our new blog and check back in early September 2011 to find out who will be demonstrating on the days you might like to visit the Artworks exhibition! 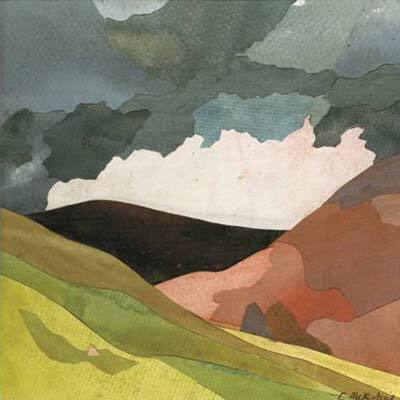 The Artworks 12th annual exhibition runs from 10 September – 2 October 2011, open 10am – 5pm daily, at Blackthorpe Barn, Rougham, Bury St Edmunds, Suffolk IP30 9JG. Admission is FREE. You can read more about Artworks history and view full profiles of all our exhibiting artists on the official Artworks website. 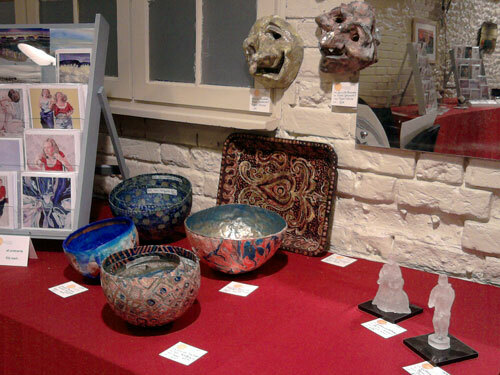 This entry was posted in artworks news and tagged amet evening, artists, artworks, batik, demonstrations, east anglia, exhibition, helen dougall, linocuts, lynn hutton, penny bhadresa, printmaking, suffolk, valerie armstrong on July 17, 2011 by admin. Exciting news! 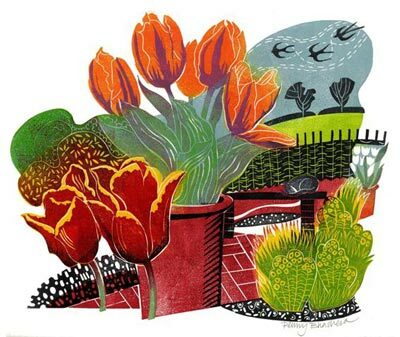 Penny Bhadresa was recently commissioned by the BBC’s Gardens Illustrated magazine to create a new series of linocuts to accompany Carol Klein’s forthcoming series of gardening articles in the magazine, ‘A Year at Glebe Cottage’. Penny explains: In late December 2010 I received an email from the Art Editor of BBC Gardens Illustrated Magazine. They had looked at my website and asked if I would consider illustrating Carol Klein’s new series, ‘A Year at Glebe Cottage’. This was an opportunity both extremely exciting and deeply daunting as the brief was to create two linocut illustrations each month to accompany Carol’s text. Penny was actually considering having a well-earned break after one of her busiest years ever, but this was an offer difficult to refuse as the subject had great appeal and it was a great challenge, so she readily agreed! As Penny says: accepting this commission has given me a chance to work on subject matter I find inspiring anyway but the challenge of working to tight deadlines, I have realised, requires a highly disciplined approach because of the time constraints involved. A nail-biting deadline is always looming! My first deadline for the February issue was already looming so I had to get my skates on, but I managed to get the two illos (as they call them in publishing circles) scanned and delivered in time. I thought my somewhat hurried first two linocuts looked quite nice in the February issue of the magazine, and now, looking forward each month and seeing my work published in this highly respected gardening magazine is the icing on the cake. Making limited edition linocut prints has become a central part of my creative work as an artist. I love linocut for the boldness and strength of image it produces. The process starts with drawing my idea for a composition, remembering that the image will be in reverse in the final print. I work straight from my imagination or combine this with visual references from photographs I have taken or sketches I have made. When I am happy with my design and composition I transfer it to lino using tracing and carbon papers. Cutting out the design is done with different sized gouges and V-tools. Once the cutting is complete the lino is mounted on board to strengthen it and is then ready for inking. I prefer to ink up my lino blocks in one go, using different sized rollers and sometimes brushes for intricate areas for each separate colour. 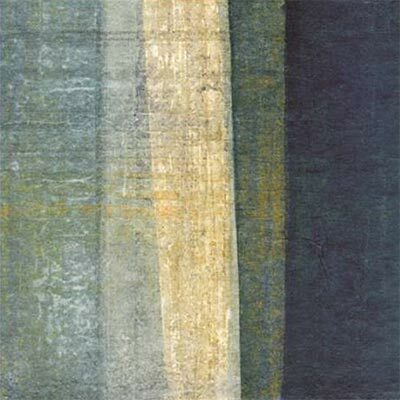 Sometimes a subject may be suited to the traditional reduction method of linoprinting which produces a more hard-edged quality in the final image. I like to use linseed oil based relief printing inks which have great depth and luminosity of colour. For paper, I experiment with different types. I especially like some of the fine Japanese papers and find Imitation Japanese Vellum a superb all-round support for linocut prints. For most of my printing I use a small table-top relief printing press, although for larger work I sometimes use a Britannia press. I also like to hand burnish my prints to give greater depth of tone where appropriate. The two linocuts shown here can be seen in the current April edition of Garden’s Illustrated magazine. This commissioned series of prints will appear as new illustrations each month in Gardens Illustrated and they will also be available to purchase as editioned original prints. 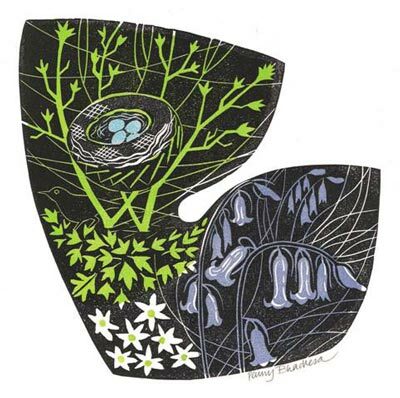 You can see more of Penny Bhadresa’s linocuts on the Artworks website & on her own website. Penny Bhadresa is a founding member of Artworks, its elected Chairperson since 2003 and she exhibits annually at the Artworks exhibition. Penny is also a member of Suffolk Craft Society & exhibits annually with Norfolk Arts, and she also participates in the very popular Christmas Craft Markets at Blackthorpe Barn. Her linocut prints are also available to buy at Smith’s Row Craft Shop, Cambridge Contemporary Art, Craftco, The Suffolk Craft Society – Gallery 2 and St Judes Gallery. In addition to her limited edition prints, Penny Bhadresa’s linocuts have also been reproduced as a series of greetings cards – you can view & purchase the cards online at One Brown Cow. This entry was posted in artworks news and tagged artists, artworks, east anglia, exhibition, gardens illustrated, linocuts, original prints, penny bhadresa, printmaker on April 23, 2011 by admin. You will receive an email when the blog is updated. NEW! ARTWORKS email list (via MailChimp, link opens in a new tab/window). You will receive an E-invitation to the private view of our Annual Exhibition at Blackthorpe Barn. You can unsubscribe at any time.